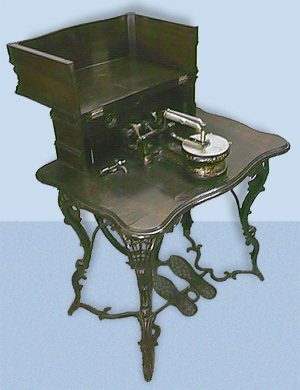 Collectable sewing machine - Florence treadle 2. The Florence machine was manufactured in Massachusetts in the 1860's/70's. This example was known as the "Fancy Florence" because of its ornately cast stand.